Montgomery Corse, a prominent young business man of Jacksonville, is a Virginian by birth, and related to several of the old families of that state. His father was a banker, who served in the civil war as a captain in the Confederate States army and his mother was Margaretta Fitzhugh. 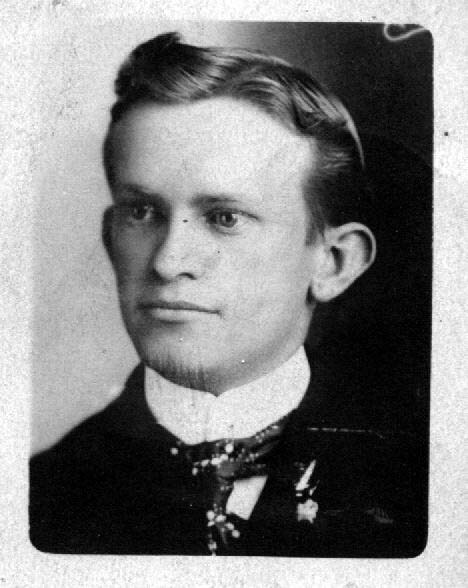 Mr. Corse was born in Alexandria, January 23, 1860; spent his boyhood in his native state, receiving his education in Hanover Academy, and, at the age of sixteen left home and went to Nebraska, where he spent three years at farming and looking after some interests of his father's in that state. He later returned to Virginia and entered the employment of the Baltimore & Ohio railroad. In 1882 he removed to Florida with his parents, and engaged in the mercantile business and orange growing at Picolata. Ten years later he came to Jacksonville which has since claimed him as a resident. He there purchased an interest in a shingle mill, before long bought out the other interest, and for the last seven years has operated the industry with great success. He makes a specialty of cypress shingles, turning out no other kind. He was a charter member and president of the Country club which is the most important of all the outdoor clubs in the city. December 17, 1885, he was married to Annie Peacock, formerly of Brighton, England, and they have one child, Herbert Montgomery.